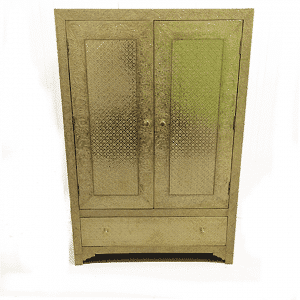 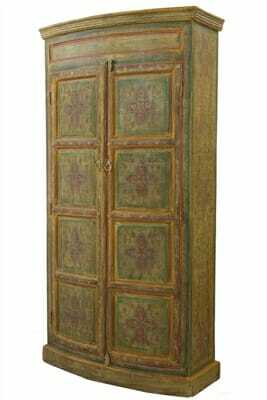 The faded shabby chic glory of this distressed cupboard yields an enduring style that will look good for many, many years to come. 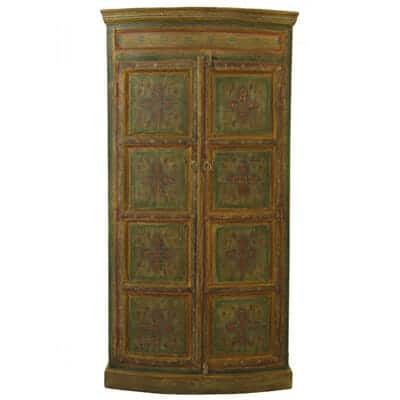 An Indian treasure to hand down through the generations, made from solid hardwood and expertly crafted, inside and out. 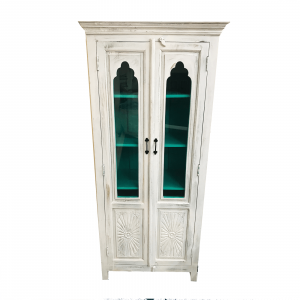 The sturdy shelves are able to withstand great weight while allowing plenty of internal storage space, so that the Indian cupboard boasts practicality as well as physical attractiveness. 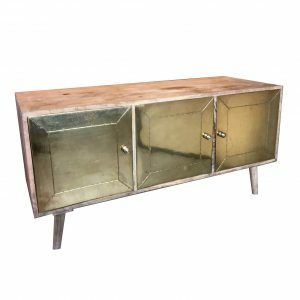 Bow fronted for a softening curvature, the cupboard breaks up linear design in a room with flowing fluidity. 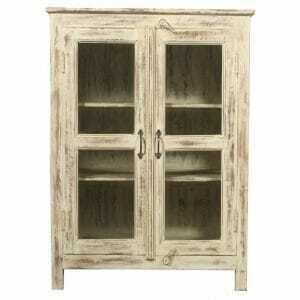 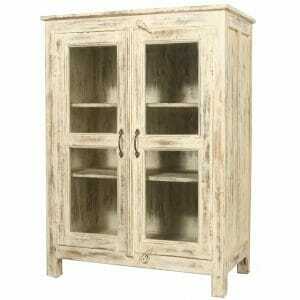 Ideal for adding depth and dimension to spaces. 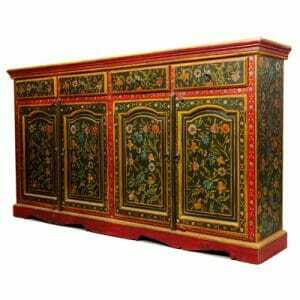 If you would like your Indian cupboard with bespoke measurements or different features, patterns or colours, we charge no extra cost for our bespoke furniture service and are happy to respond with a quote, directly. 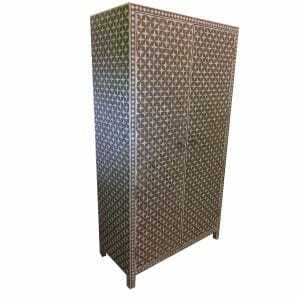 Just let us know your requirements and we can be in touch straight away. 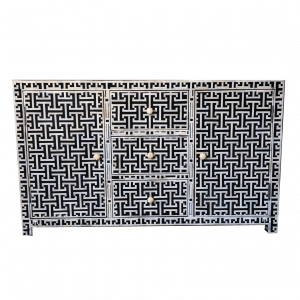 Any style you see in our collection can be made to the perfect width, depth and height for you. 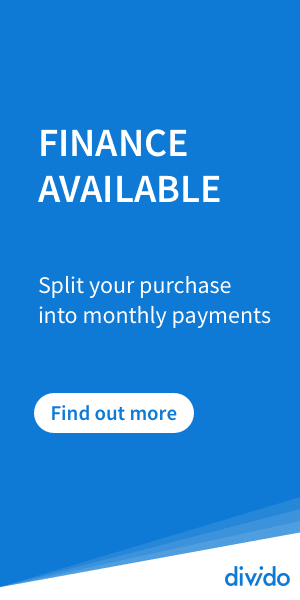 Similarly, if there’s anything you need to know or check with us about any of our products, ordering or delivery, just give us a call or write us an email and we can answer any questions you might have. 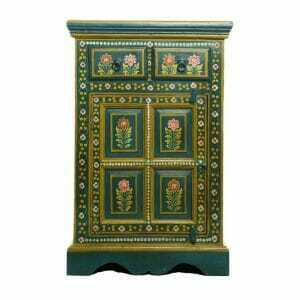 How do I clean Indian painted furniture? 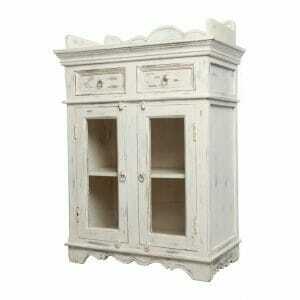 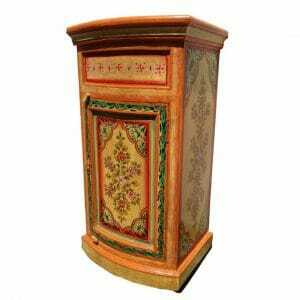 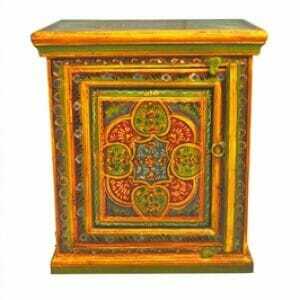 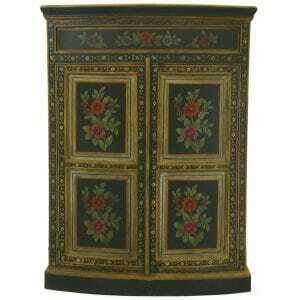 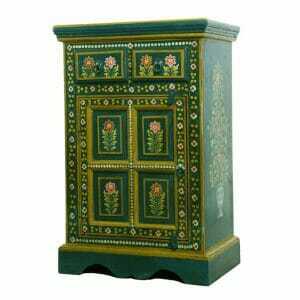 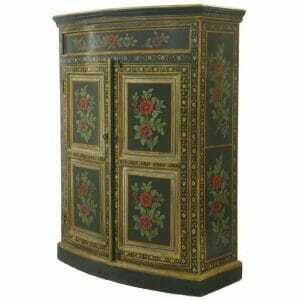 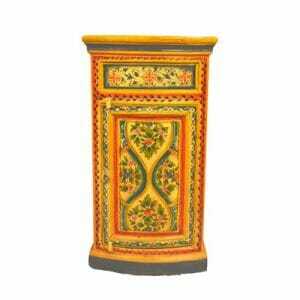 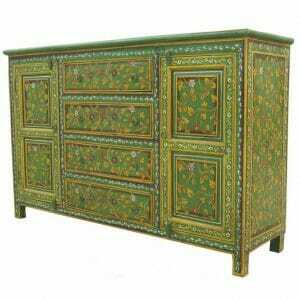 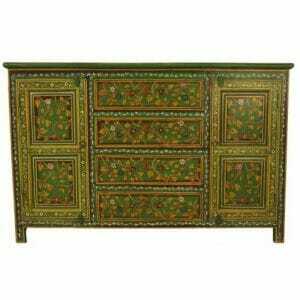 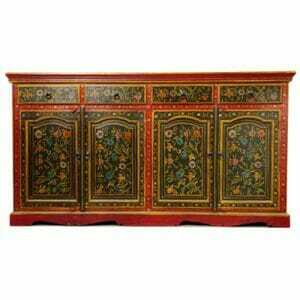 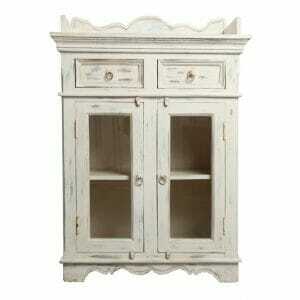 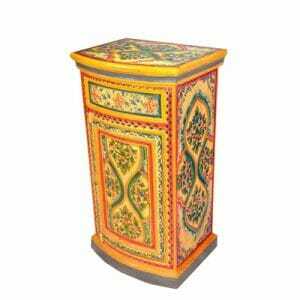 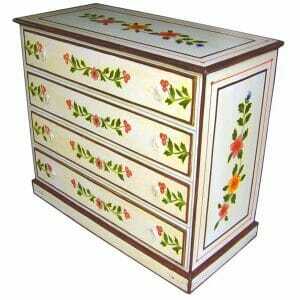 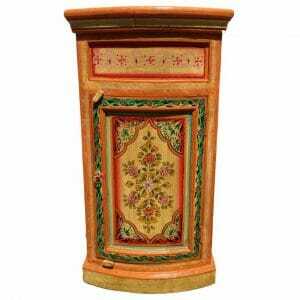 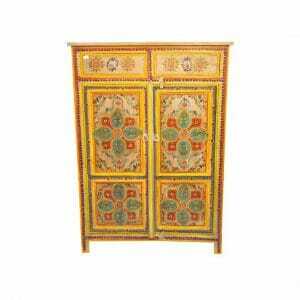 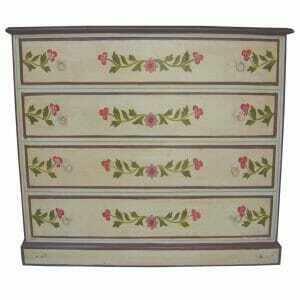 Indian painted furniture is very easy to clean. 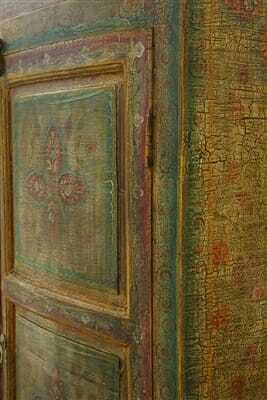 Finished with a thick varnish that mutes the bright colours, the surface can be dusted regularly and wiped with a soft, damp cloth if it’s ever necessary. 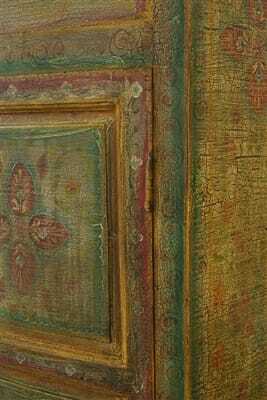 Avoid chemicals that could strip the surface. 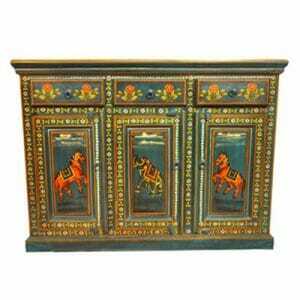 Indian wood furniture is easy to care for and its rugged aesthetic is part of the stylistic finish, giving it an antique appearance that has a timeless quality. 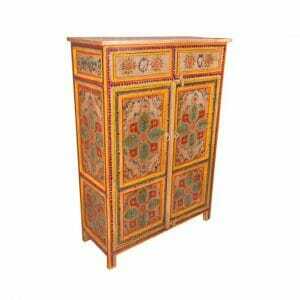 Impervious to changes in fashion, Indian furniture never goes out of style. 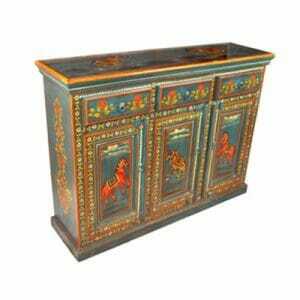 Our love of Indian culture and the incessant celebration of all things colourful and beautiful led us to become prime importers of fine Indian furniture and we are friends and close companions of the skilled workers who craft these painted masterpieces. 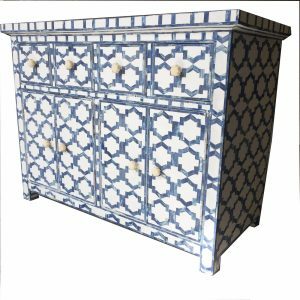 With over 20 years experience in the field, we remain as passionate and happy as ever to continue to bring oriental delights to our shores for your enjoyment as well as ours. 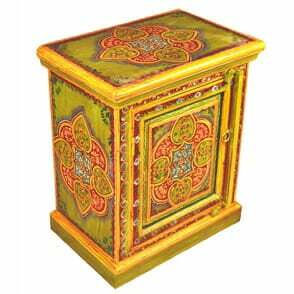 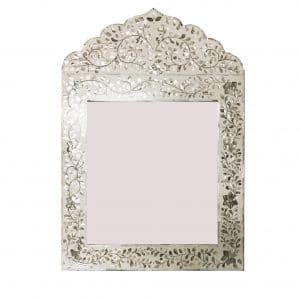 All our Indian furniture is hand crafted by skilled artisans in Rajasthan and shipped over the high seas to your door. 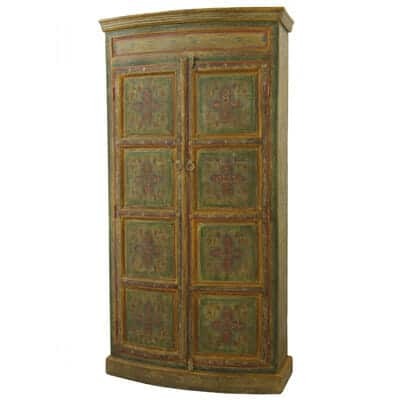 Made from sustainably harvested hard woods that are resilient to time, temperature and humidity, pieces like this Indian cupboard are crafted to last.